The Plasma Pen has arrived in Scottsdale! So what is the buzz about the newest cosmetic procedure to combat wrinkles, loss of collagen, and sagging skin? As we age, the dermal layer of our skin thins, we produce less collagen, and we lose elasticity. All of these factors produce sagging and wrinkling of the skin. 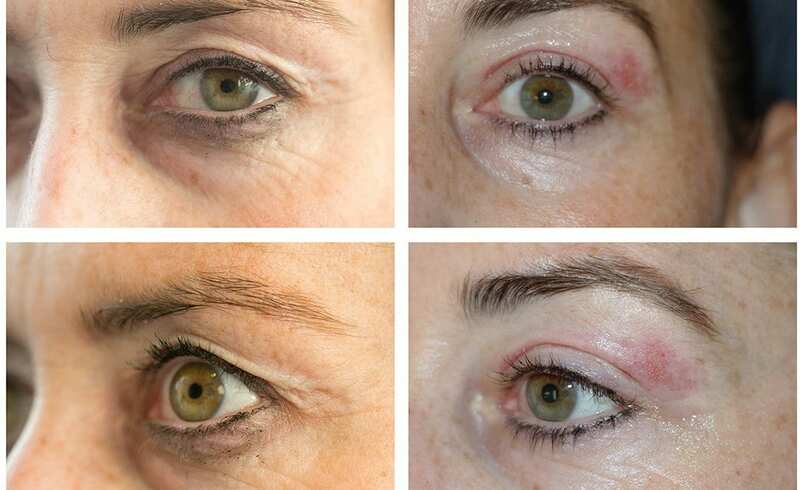 The Plasma Pen is a soft-surgery procedure targeting a wide variety of skin conditions including loss of elasticity, sagging, and wrinkles that have been traditionally treated with fillers or plastic surgery. Plasma Pen is the world’s most advanced, non-invasive, skin lifting, skin tightening and rejuvenation device used to treat wrinkles, and sagging, dull skin. 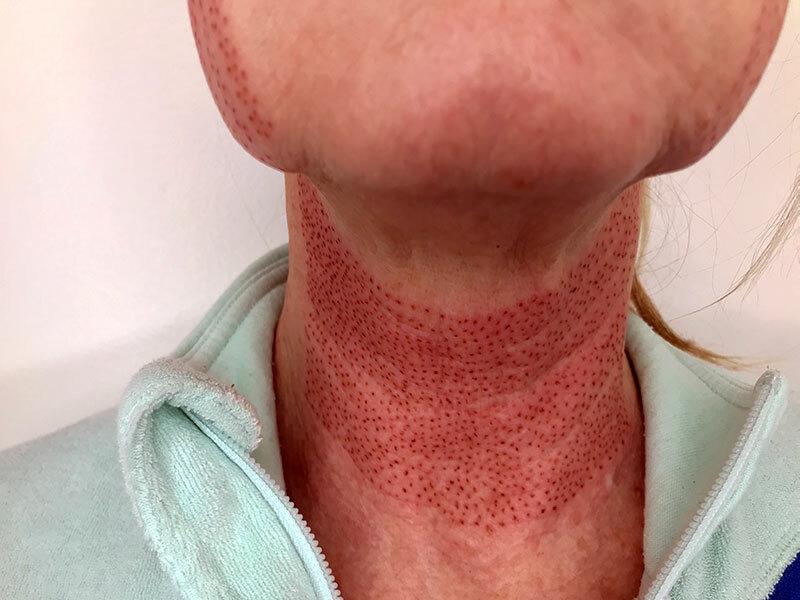 The Plasma Pen is an FDA approved, CE approved device used to perform fibroblast therapy, a technique used to stimulate production of collagen in the skin. Celebrity Skin technicians are Plasma Pen trained and certified. How does the Plasma Pen work? Our highly trained and certified Plasma Pen technicians use the device to delivery soft-surgery plasma fibroblasting. The plasma significantly tightens, lifts, resurfaces, and regenerates practically any area of the skin. Plasma Pen converts electrical energy into gaseous diatomic molecular nitrogen and transmits that energized gas in a non-contact way to the skin’s surface from above. This causes a micro-trauma to the skin’s epidermal layer (top layers) whilst simultaneously heating and disrupting the deeper dermal structure via thermal conduction. This treatment is also known as fibroblasting. Fibroblasts are the most common cells of connective tissue in the body that produce collagen. What areas of the body can be treated with Plasma Pen? Fibroblasting produces excellent results for any area of the body, particularly the face and neck regions. It is important for anyone considering fibroblasting treatment to carefully review the Plasma Pen contraindications, Plasma Pen Aftercare Instructions, risks, and skin types that can be safely treated. 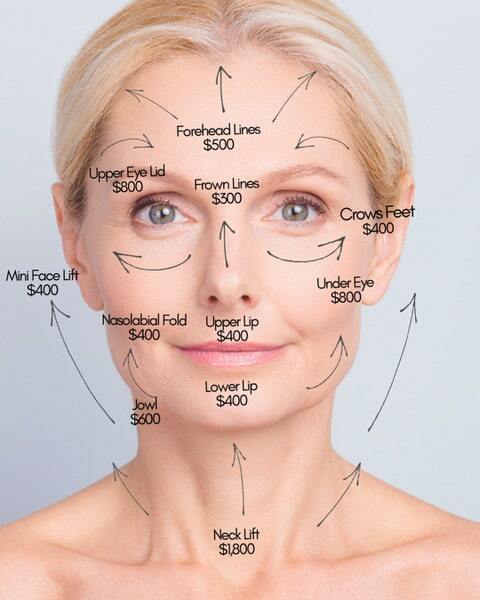 Please review our model for detailed pricing on each area of the face. Please ask if you are unsure or have questions about any area or combination of areas you desire to be treated. What is unique about Plasma Pen vs. other Fibroblasting devices? Other fibroblasting devices are often referred to as Plasma Pen but are not the actual trademarked device. Other competitor’s devices can be purchased from China for as little as $10 and are not true plasma technology. At best, they are designed for personal skin tag and mole removal. These pens are not suitable for professional use and can be dangerous. I don’t know about you, but I certainly do not want a treatment done around my eyes with a knockoff device? NO WAY! Many of the technicians performing fibroblasting are not professionally trained. There are many contraindications for fibroblasting including but not limited to certain medical conditions, medications and skin types. Also, it is important to mention the specific techniques used to obtain the best results. Do you homework and be very cautious. 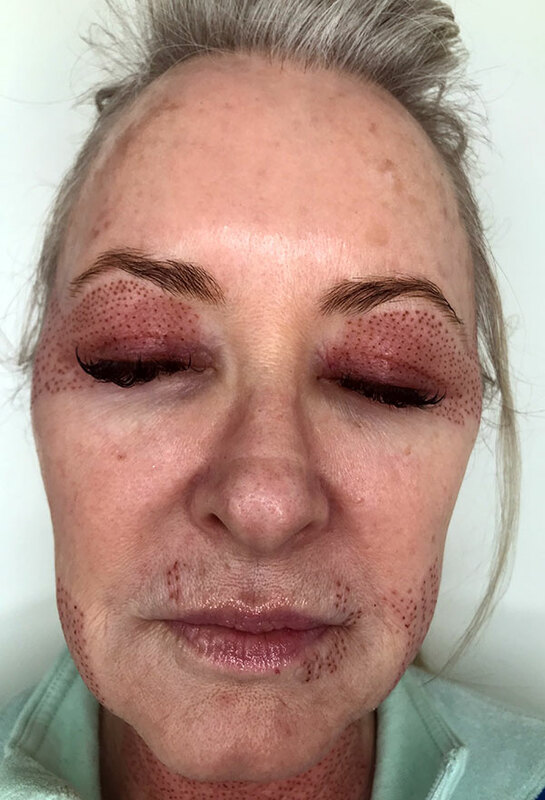 Plasma Pen skin tightening results are impressive but should not be proposed as an alternative to surgery in cases of moderate to severe skin laxity. Only surgery can achieve these kinds of results. You will typically see immediate tightening along with cumulative improvements over the next three months in the appearance of saggy skin. In some cases it may require more than one session depending on the desired results. Is the Plasma Pen treatment painful? Plasma Pen is mildly to moderately uncomfortable. Everyone’s pain level is different and some areas of the body are more sensitive than others. Numbing cream is helpful in reducing the discomfort during treatment. What are the risks of the Plasma Pen treatment? What downtime can I expect after my Plasma Pen treatment? There IS downtime. “Downtime” is very subjective. What you think “looks bad” and/or is “uncomfortable” can be very different from someone else’s perception. If you are comparing it to cosmetic surgery, then no, the downtime is minimal. If you are comparing it to a light chemical peel where no one can tell you did anything and you are just a bit flaky everywhere, then no. After day 3, swelling subsides and scabs form. Please be aware that the days indicated are simply guidelines for average healing time. Healing time and results may be negatively compromised by not following the after care protocol: no drinking alcohol, no smoking and no picking/scrubbing. If your health is compromised in any way, this can also extend your healing time and negatively affect your results. What skin types may not be good candidates for Plasma Pen treatment? Darker skin tones (African American, African, Latin, Native American, Indian, Middle Eastern, Asian ancestry and people of mixed ethnicities) may not good candidates for Plasma Pen. Book your Plasma Pen consultation today! If you think the Plasma Pen treatment may be right for you, we invite you to book a free 15 minute Plasma Pen consultation. During this consultation, we will evaluate your skin, discuss risks and contraindications, and answer any questions you have regarding the treatment.